Mirii has been caught - along with the friends who were helping her find her partner, Vu. Being in prison is just like her revisiting her childhood in Orphancorp - only worse. Under the beating heat of a desert sun, the prisoners fight for food, water and a safe place to sleep. Our heroine begins to question her urge to fight back and rebel as all it seems to do is lead her and the people she cares for deeper into trouble. 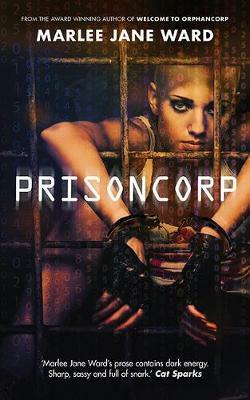 Fast-paced, gritty and original, Prisoncorp is the final instalment in the Welcome to Orphancorp trilogy. It confirms Marlee Jane Ward as one of Australia’s best YA authors. This is a gripping and page-turning conclusion to the Victorian Premier’s YA Award winning series.